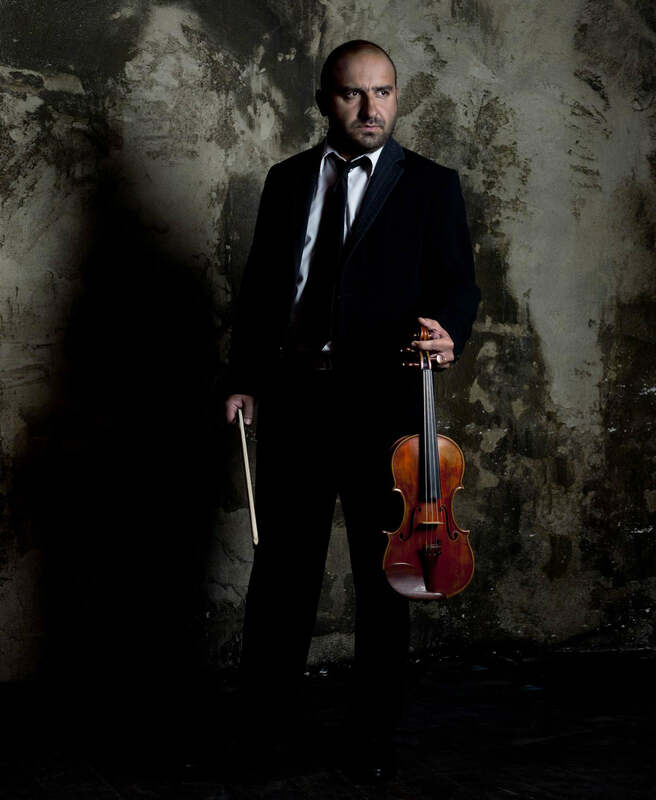 As a violinist he has worked with famous greek composers (Mikis Theodorakis, Stavros Ksarchakos, Nikos Mamagkakis and others) at concerts and studio recordings. He was a member of the Athens Symphony Orchestra from 1997 to 1998 and he has been a permanent member of the Manos Hadjidakis’ Orchestra of Colours since 2000. It’s worth mentioning, that he has participated in recordings of the Orchestra, many of which were world premieres. As a solo drummer he has appeared in many percussion festivals, while he has teamed up with many Greek popular, rock and jazz artists in session. George Chatzis started composing music at an early age. In 2002 he receives the Highest Distinction in the First Panhellenic Competition in PC Music Composition for his instrumental composition “The Star Sign of Cancer” which competed in the Electronica/Ambient/New Age category. George Chatzis’ composition “Hymn to Apollo” accompanied the arrival of the Olympic Flame at the island of Carpathos in 2004. George –in collaboration with the string quartet +Kinisis – has often premiered his work at Megaron, the Athens Concert Hall as well as in Delfi. He has composed music for theatre, dancetheatre and documentaries. Since 2001 he has been working closely with Nikos Bras, a widely known ancient greek instruments manufacturer, in order to promote the study, publicity and revival of the ancient greek instruments. Since 2003 he has been cooperating with Agami Thite and the Italian performing duo Lucchettino. In 2005 he releases his first album “Spiritual Icons” with EMI Greece, which was nominated as best instrumental music album at the Arion song contest in 2006. In2006 he takes part in the Big Chill Festival at Eastnor Castle, Herefordshire receiving praising reviews by the british press. His composition “After Paros Island” is added to producer’s Pete Lawrence “Take me home” compilation which is released across Europe. In 2007, EMI Greece releases his CD single “On Vacation feat Kelly”, which has remained at the official IFPI top 20 for 2 weeks. “After Paros Island” becomes part of Raphael Marionneau’s compilation Le café abstrait “The Epilogue of a Journey”. In 2009 he cooperates with Agami Thite not only as a musician, but as an actor as well. As a musician, he is responsible for the orchestration of the show. In the year 2010, George Chatzis co-stars with Bessy Malfa in her play “Pirates”, while he composes original music for the beginning of the show. In 2011 George is given the chance to express his many talents as a musician, actor, singer and stand-up comedian at the Akti Pireos show “Tamio Allergias”. In the summer of 2012 he participates in the concert “Lavrentis Macheritsas, The Angels are Still Living in the Mediterranean”, one of the greatest concerts to have ever taken place in Athens. At the crowded Kallimarmaro Stadium, where the concert is held, George appears on stage with world widely known artists, such as Salvatore Adamo, Christophe, Bernard Lavilliers, Angelo Branduardi, Tonino Carotone, Piluka Aranguren, Quator Stevens, Josep Tero, Nikos Aliagas, Eleonora Zouganeli, Vasilis Papakonstantinou, Filippos Pliatsikas, Dionysis Tsaknis, Maria Farantouri and Dionysis Savvopoulos. In the same year he co-stars with Bessy Malfa in the Guillem Clua and Xavier Mestres musical thriller “KILLER”, directed by Christos Karchadakis, while he composes original music and writes the songs for the greek version of the show. Since 2012 George has been co-starring and co-directing with Dimitris Starovas the musical theatre show “O Gemistanas ke i krisi”. 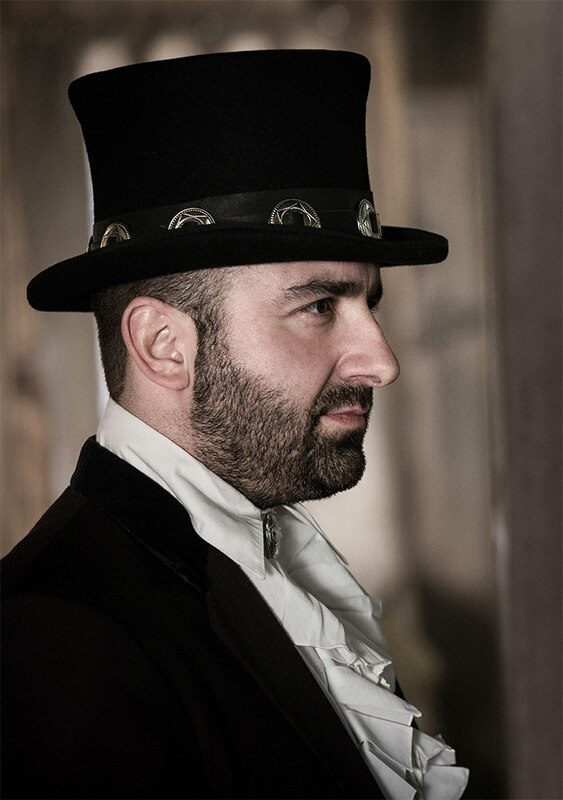 In 2013 he appears on stage once again with Agami Thite as a musician, singer and actor at the Badminton theatre, while at the same time he undertakes the orchestration of the show. He participates in the theatrical performance “Who is hunting my life”, tribute to the great Greek songwriter and composer Mikis Theodorakis, which premiered in May of 2013 at the Badminton theatre in Athens and went on tour throughout Greece in the summer of the same year. His composition “THRACIAN VIBE” has been added by dj Ravin to the Buddha Bar XV compilation, which was released world widely on May 6th 2013. In 2014 he participates in the theatrical performance “Mauthausen”, directed by Themis Moumoulidis. In December of the same year he stars, directs and composes the music of the musical theatre play for children “King Cicada and the Revolution of the Ants”, the text of which has been written by himself and Pelagia Plagianakou. In 2015 he takes part in the Ancient Greek comedy by the playwright Aristophanes, Plutus, directed by A. Montzoli. In 2016 he receives the Silver Medal for Outstanding Achievement by the Global Music Awards for the original score/soundtrack of the documentary “Mt Olympus The Creation”, directed by Athina Krikeli and Dimitris Zisopoulos. In the same year he releases his new song “Planodios Erastis”. In October of 2016 he participates as an actor and music coach in the theatrical performance “Hamlet B”, directed by Vladimiros Kyriakidis.